The Baltic Sea Culture Centre in Gdańsk together with Kirkelig Kulturverksted from Oslo invite you to another, this time musical edition of joined Polish-Norwegian project “Ny arv / Nowe dziedzictwo” (New Heritage). 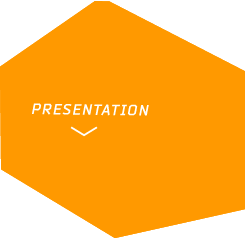 This project touches on issues related to culture creating potential of historic churches turned into culture centres, such as St. John’s in Gdańsk and St. Jacob in Oslo. Thanks to their specific aura and the interiors, the artistic events gain new, unusual form. And such will be for sure the performance of Polish-Norwegian ensemble, established for the project by unique artists of folk and world music; inspired by various European traditions: Norwegian, Polish, Kashubian, Balkan, Gypsy and Jewish. In the program, apart from compositions inspired with musical tradition of Europe, there are new compositions, including a piece which is a tribute to St. John’s Church, based on its rich history and unusual atmosphere. 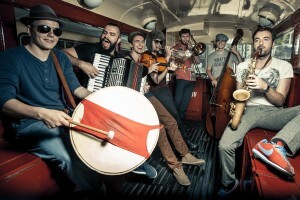 BUBLICZKI are a seven-member musical and riotous group who employ Kashubian rhythms and western Pomeranian swank. Since 2007, the Bubliczki have been mixing Balkan energy, Gypsy spontaneity and Jewish aura with Polish and Kashubian content. Playing the biggest world music scenes in Poland they have wrought havoc among all the lovers of Balkan sounds. The band was granted the most important awards on the Polish folk scene: in 2008, they won the II place at the Folk Santa Claus Feast and in 2009 they were awarded the first place during the New Tradition (Polish Radio Festival) and in 2013 Polish Radio Folk Phonogram of the Year for the album “Trubalkan”. As far they released two albums: “Opaa!” (2010) and abovementioned „Trubalkan” (2013). SOLFRID MOLLAND is a Norwegian pianist, singer and composer. She graduated Østlandets Musikkonservatorium, but she grew up with European classical music, Russian folk music and Gypsy music – a musical universe that today pervades her concerts and compositions. 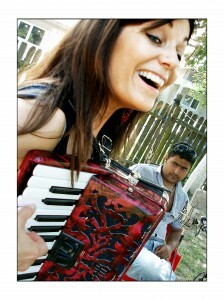 She has travelled Europe as a busker with her little red accordion. While travelling, she learnt songs from the Romani people and composed music for various cathedrals and small beautiful village churches which appeared on her way. This music was released on the CD “Katedral for Tapte Drømmer”[Cathedral for Lost Dreams] by KKV in 2011. Here she shone a musical and poetical light on the largest minority in Europe, the Romani people. In 2014 Molland released a new CD “Musikken er mitt fedreland” [Music is my Fatherland]. This project was a continuation of the Romani theme, but with focus on street musicians in Oslo. During concerts relised „Ny arv / Nowe dziedzictwo” project she will be accompanied by Gunnar Halle /trumpet/ and Lars Tormod Jenset /double bass/. Gunnar Halle works mostly as a musician, playing with Norwegian, Danish, Swedish groups. The last couple of years he has played with Mari Boine, Eivind Aarset Sonic Codex, Fattigfolket, Berke Can Ozcan and 123 Orchestra, duo with pianoplayer Espen Eriksen, Pierre Dorge & The New Jungle Orchestra, Josefine Cronholm, Lars Andreas Haug – LaBand, Lisbeth Diers, Böhm/Halle/Sell, Josefine Lindstrand and many others. Newest record out is the album ’Park’ with Fattigfolket at the German label Ozella Music, and Conrairo with LaBand on Curling Legs rec. Educated at Rhythmic Music Conservatory, Copenhagen 1997-2002. He stayed in Copenhagen Denmark until 2007, and in this period he toured and recorded with numerous Danish and Swedish groups; Tys Tys, Nowhereland, Jogujo Circuit, Susi Hyldgaard, Fredrik Lundin Overdrive, Copenhagen Art Ensemble, Josephine Cronholm, Pierre Dorges New Jungle Orch, Josefine Lindstrand and Lisbeth Diers were some of them. He was also one of the early members and founders of ILK, Independent Label of Kobenhavn, where he released eight records in this ten years period. Two of them was with electronica trio Jogujo Circuit where he composed and produced it all together with Joakim Froystein. 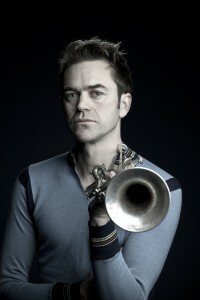 He was nominated for a Danish Grammy in 2004 as ’new jazz-name of the year’. Tys Tys received a Grammy for ’Go get some’ the same year. Beside being a touring musician, he also work in his studio, recording trumpet, synth, strings and so on, and he has recorded, produced or mixed for Jogujo Circuit, Echidna, Nana Jacobi, Josefine Cronholm, and composed and produced music for documentary film. 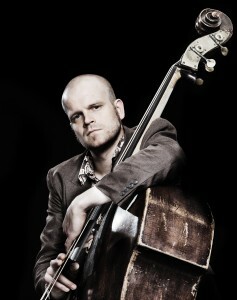 37 years old bass player from Molde, Norway. He has studied music at Oslo University, and has a Master of Performing Arts from Rhytmic Music Conservatory – RMC in Copenhagen. He has contributed on over 15 albums the later years and Lars Tormod has been touring a great deal around Europe and Asia. At the moment he is touring and recording with Espen Eriksen Trio, Hot N Spicy, Andreas Haddeland Trio, and Solfrid Molland. He is also a renowned session musician, and is often seen on stages around Norway in different projects.